Long before anyone had heard of alien cookbooks, gremlins on the wings of airplanes, or places where pig-faced people are considered beautiful, Rod Serling was the most prestigious writer in American television. As creator, host, and primary writer for The Twilight Zone, Serling became something more: an American icon. When Serling died in 1975, at the age of fifty, he was the most honored, most outspoken, most recognizable, and likely the most prolific writer in television history. Though best known for The Twilight Zone, Serling wrote over 250 scripts for film and television and won an unmatched six Emmy Awards for dramatic writing for four different series. His filmography includes the acclaimed political thriller Seven Days in May and cowriting the original Planet of the Apes. 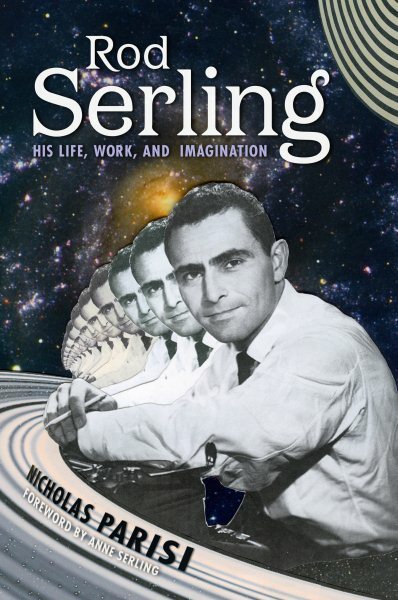 In great detail and including never-published insights drawn directly from Serling’s personal correspondence, unpublished writings, speeches, and unproduced scripts, Nicholas Parisi explores Serling’s entire, massive body of work. 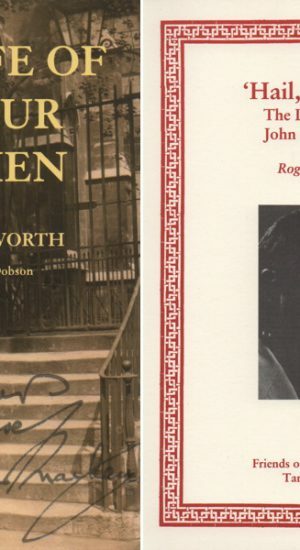 With a foreword by Serling’s daughter, Anne Serling, Rod Serling: His Life, Work, and Imagination is part biography, part videography, and part critical analysis. It is a painstakingly researched look at all of Serling’s work–in and out of The Twilight Zone.